Roxanna Brock and Amanda Wicks on their next to last stage. IN the depths of a desert canyon, below a massive wall of streaked, multihued stone, Amanda Wicks reached up to touch the gritty rock face. The climbing rope at her waist, a pink cord of knotted nylon, pulled tight as Ms. Wicks stepped forward to start the ascent. Amanda Wicks and Roxanna Brock hiking into Oak Creek Canyon for their climb. “O.K., I’m climbing!” she yelled out, signaling her guide a rope’s length above, 160 feet up on a small sloping ledge. Scrub oak and juniper choked a streambed below. Across the canyon, a rare dusting of desert snow coated the hillside, white powder on red sand. Feet gripped on small edges, fingers on cold stone, Ms. Wicks worked through the initial moves. It was 8:30 a.m. on a Monday in March. The Nevada sun blazed overhead. The climb, a sheer vertical route, stretched 2,000 feet into the sky. It would be well after dark, casinos blinking in the far distant night, when the climbers would return from the summit and again set foot on flat ground. Ms. Wicks, a 25-year-old graduate student at the University of Nevada, Las Vegas, had signed up for a daylong climb in Red Rock Canyon National Conservation Area, a barren, craggy park 17 miles west of the Las Vegas Strip. Since the 1970’s, when climbers first came to the area, more than 2,000 rock climbing routes have been pioneered on Red Rock Canyon’s tall cliffs and sandstone domes. Recent surveys show that more than 100,000 climbers visit Red Rock Canyon each year, according to Jed Botsford, an outdoor recreation planner with the park. Red Rock is an austere wilderness of arid plains and Joshua trees. Mountain peaks rise thousands of feet off the desert floor. Petroglyphs bake in the sun. Wild burros and desert tortoises track the park’s coarse sand. The strange geology of the region, including giant petrified sand dunes, strata thrusts and sedimentary capstone, make Red Rock Canyon a unique and varied climbing environment. Difficult single-pitch (one rope length) climbs flank roadside crags. The mountain faces, reached via wilderness hiking trails, are among North America’s most unrelenting formations: some cliffs reach above 3,000 feet, more than twice the height of the Empire State Building and nearly as sheer. The route Ms. Wicks and her guide chose to climb, a line up the south face of 6,843-foot Rainbow Mountain, had 13 rope lengths, or pitches, of technical climbing. 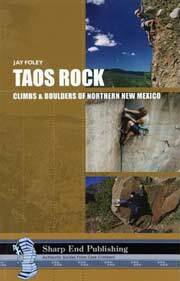 Its crux section, rated an intermediate grade of 5.9 (the 5 indicates the class of climb; the 9 is in the middle range on a 1-to-15 difficulty scale), requires subtle balance, long reaches and precise footwork on a slab of polished sandstone. “I’m expecting an epic,” Ms. Wicks had said while lacing her purple climbing shoes at the base of the mountain buttress. After climbing 160 feet, on the top of the first pitch of the day, Ms. Wicks squeezed onto the ledge with her guide, Roxanna Brock, a 39-year-old climber who works for Mountain Skills Rock Climbing Adventures,(www.climbingschoolusa.com); one of four companies licensed to guide in the park. Carabiners snapped shut as Ms. Brock clipped her client into a system of safety lines. “I’m freezing — I gotta get climbing,” said Ms. Brock, who was working to manage the rope coiled at her feet. Draped with nylon slings, her harness gear loops stocked with carabiners, cord and protection anchors, Ms. Brock began climbing the next section. Their roles leapfrogged: Ms. Wicks now belayed the guide as she prepared to ascend an exposed arête. Ms. Brock moved across a ledge and climbed straight up on blank-looking stone, the pink rope trailing between her legs. Slick desert varnish, a shiny rust-brown veneer over cream-colored sandstone, coated the route above. But small cracks and intermittent holds, protruding wartlike from the rock, provided passage up an otherwise smooth surface. WHEW, it’s getting windy up here,” Ms. Brock said, pulling her body around the outside corner of the dihedral, 200 feet of air beneath her toes. Her climbing shoes — two sizes too small for better sensitivity on the rock — stuck like fly feet to the wall. Her eyes scanned the route above, fingers moving to lock on tiny holds and smooth pockets. With one hand pinched on a hold, Ms. Brock reached down to her waist to pull up a bight of rope, preparing to clip an anchor at eye level on the rock. “Give me some slack,” she yelled down to her belayer. For the next six hours, the two were tethered together, each tied into a respective end of the rope as they climbed the cliff one pitch at a time. Ms. Brock led every section, placing cam anchors, clipping the occasional in-situ bolt and jamming metal chocks into cracks for protection in case of a fall; Ms. Wicks climbed second, removing the anchors as her guide reeled in rope from a ledge above. Gear was reorganized methodically at each belay ledge. Ms. Brock kept cam anchors up front on harness gear loops; carabiners were stacked farther back on her hips. The rope was coiled and flaked out a dozen times throughout the day to keep it tangle free. Knots were double-checked at every ledge. A guide, Roxanna Brock, above, leads Amanda Wicks on a 2,000-foot climb in Red Rock Canyon National Conservation Area, near Las Vegas. Each new pitch began with a compulsory and singsong canting between climber and belayer — “on-belay; belay-on; climbing; climb-on” — to ensure both partners were ready, system in sync. At noon the pair crested 1,000 feet. The desert floor became a blur of earthy red and brown and chalky tan. Trees were green fuzzy dots, the hiking trail back toward the car a faint line in the sand. Depth perception was lost in the airy open space. Mount Wilson, a gargantuan neighboring peak a mile across the canyon, seemed close enough to spit on. The distant highway and hills, and the tiny cars below, took on all the manicured verisimilitude of a model railroad set. The steep rock continued, pitch after pitch, an endless slab of upright stone. Clouds dotted the desert sky by 1 p.m.
“We must be getting close,” Ms. Wicks said, tying into an anchor at the top of the 11th pitch. A dizzying abyss, wide and windy, expanded out, up, down and side to side from the climbers’ stance. Ms. Wicks leaned into the rock, visibly tired and moving slow. But she was upbeat, smiling. The day’s climb, so far more than 1,500 feet of vertical rock, was the most Ms. Wicks had ever pulled off. And still the great stone of Red Rock Canyon towered above. “All right, Roxanna, you’re on belay,” Ms. Wicks said, focusing on the present task. Her hands gripped the climbing rope, ready to feed out the next 160 feet of line while her guide climbed ahead. A carabiner snapped shut as Ms. Brock paused at the first anchor. Tight little shoes tiptoed on a vertical wall. The rope trailed the climber, moving through metal rings and rubbing softly on the rock, a lifeline extending, a quiet whir on the high mountain face. Red Rock Canyon National Conservation Area, a 197,000-acre desert preserve near Las Vegas, is a top international rock climbing destination. Massive and unique sandstone formations, combined with the region’s mostly agreeable weather, attract thousands of climbers a year. Coarse Aztec sandstone is the preferred and most abundant climbing medium within Red Rock Canyon. Some climbs are thousands of feet high, requiring a day or more to ascend. All types of climbs — slabs, cracks, bolted sport climbs, chimneys, faces and boulder problems — are included among the area’s more than 2,000 established routes. The most recent climbing guidebook, “Red Rock Canyon: A Climbing Guide,” by Roxanna Brock and Jared McMillen (Mountaineers Books, 2005), is 448 pages long. Though you can climb in the park all year, Red Rock is most popular from October through May. Hot summertime temperatures force climbers to seek routes in the shade or head to higher elevations. Four companies are licensed to guide rock climbing in Red Rock year round: Jackson Hole Mountain Guides, Mountain Skills Rock Climbing Adventures (www.climbingschoolusa.com); National Outdoor Leadership School, and American Alpine Institute. The Bureau of Land Management oversees Red Rock Canyon National Conservation Area. Contact the bureau’s Las Vegas office (702-515-5000, www.nv.blm.gov/redrockcanyon) for general information on visiting the park. Access to Red Rock Canyon is easy. The park is less than 20 miles from McCarran International Airport and the Las Vegas Strip. 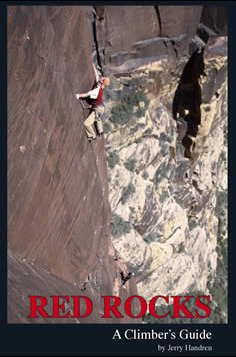 Climbers can fly into Sin City and be on the rock within an hour or two.